Chocolate Chip Skillet Cookie is the perfect sweet treat for two to share. This is a delicious recipe to serve for Valentine’s Day or anniversary or date night. Serve warm from the oven with a sprinkle of powdered sugar or a scoop of vanilla ice cream. Have you ever gone shopping and found something that just inspired you to bake? The other day I found this great little cast iron skillet. 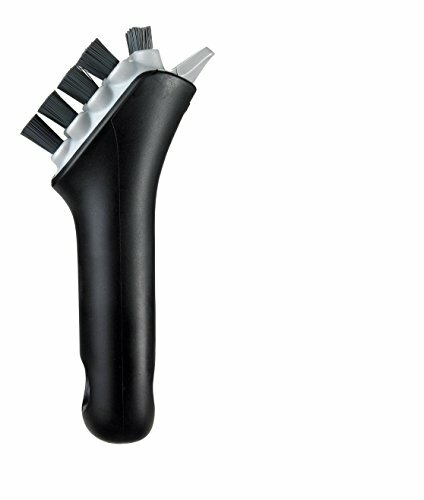 It was only $5.00 so I purchased it not really sure what I was going to use it for until today. 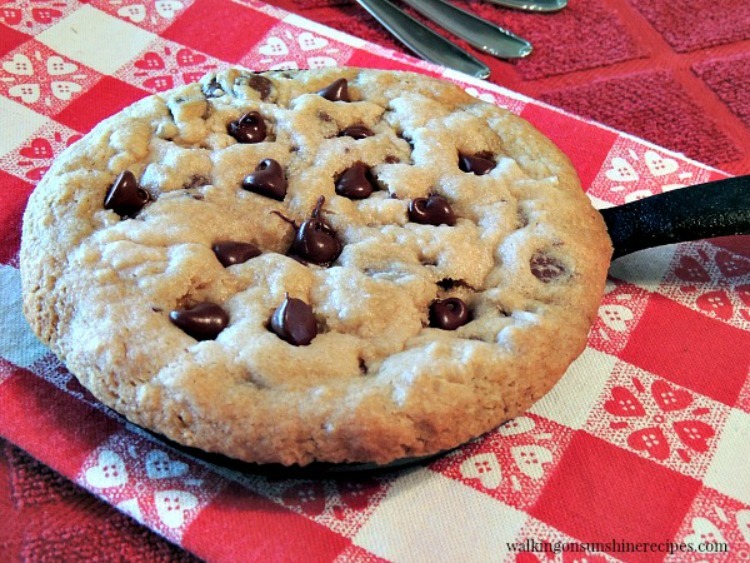 I’m going to bake a Chocolate Chip Skillet Cookie as a special treat for my hubby. 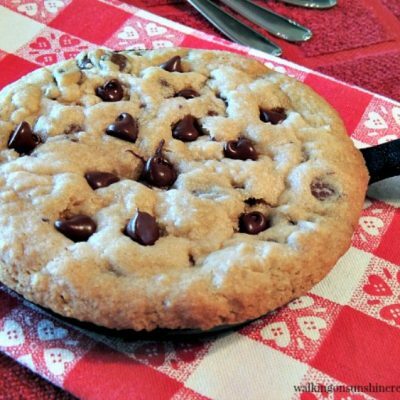 I used my regular chocolate chip cookie recipe and filled the bottom of the skillet with the dough and in a few minutes we had a yummy treat to share which is perfect for any night but really nice for Valentine’s Day. Doesn’t that look amazing? And it’s the perfect size to enjoy a yummy dessert just for TWO which is the best way to celebrate Valentine’s Day or any other special occasion. The skillet itself only held just under one cup of raw chocolate chip cookie dough. Depending on the size of the skillet you purchase, you’ll use a different amount of raw dough. Just be careful to not overfill the skillet. It could overflow in your oven as it cooks. I did place the cast iron skillet on a baking tray lined with parchment paper to be safe. Now the original little cast iron skillet I purchased didn’t last very long. It was inexpensive and after a few washes, not in the dishwasher, it rusted. So I went looking for another one and found this one that is working great for me. 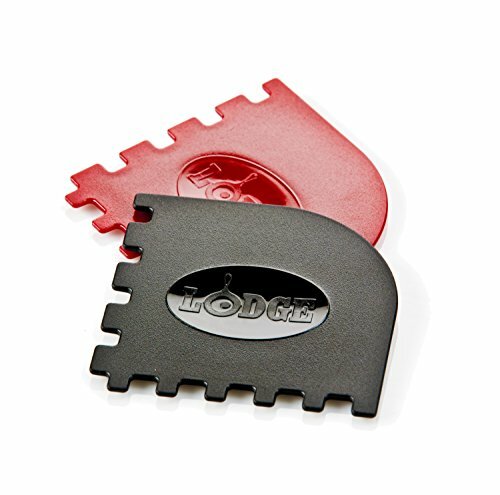 I’ve only heard great things about Lodge and I know their quality is amazing. 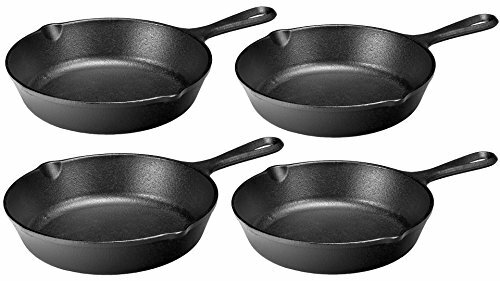 Individual Cast Iron Skillet from Lodge on Amazon. Chocolate Chip Skillet Cookie is the perfect sweet treat for two to share. Serve it warm from the oven with a scoop of vanilla ice cream. 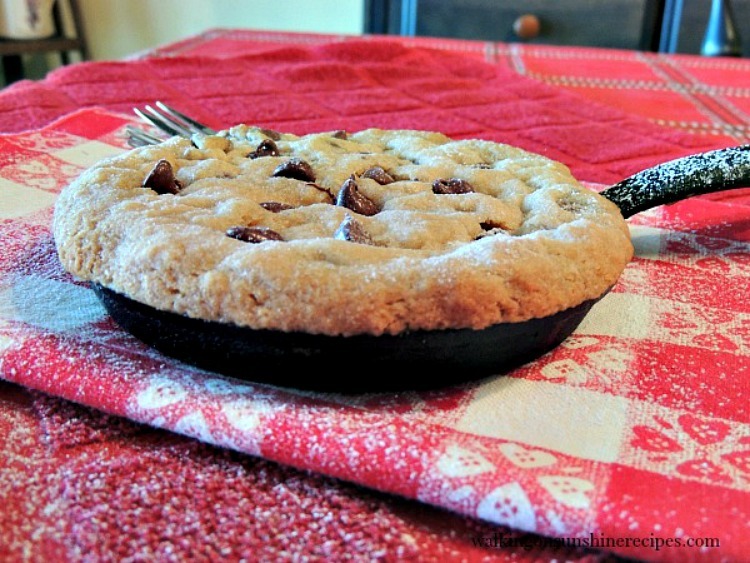 A fun and delicious way to enjoy chocolate chip cookies is to bake them in a cast iron skillet. 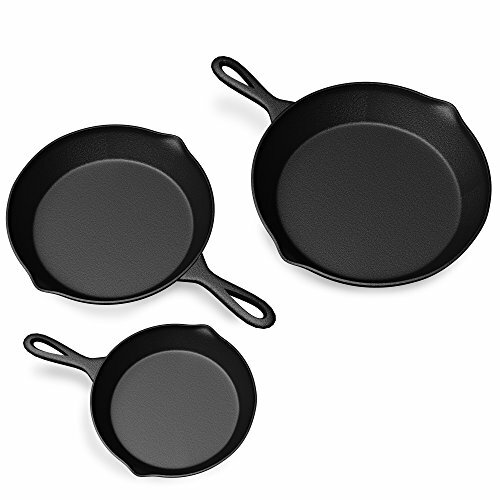 Depending on the size of your skillet, press the dough into the skillet that's been sprayed with non-stick cooking spray. Bake in a 350 degree preheated oven until the edges are crisp and the cookie is golden and cooked through. Remove from oven. Cook Time is just an estimate. It all depends on how large your skillet is. Check the cookie after 12 to 15 minutes of baking. The cookie is done when the edges are slightly browned and the middle is set. I know you’re dying to ask what did I do with the leftover cookie dough? 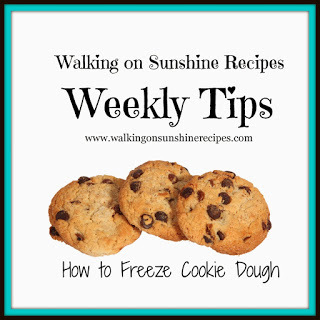 Read this post from the archives to see how I froze the leftover cookie dough. Oh my gosh I have to make this for my hubby. That looks amazing and I am pinning it right now. This is terrific. I've been thinking about making a skillet dessert for some time. Now you have inspired me to make this. Pinning/sharing. This is great. I don't always want to mess with cookie sheets. Thank you for sharing. I saw those too but passed them up. Now I'm kicking myself! 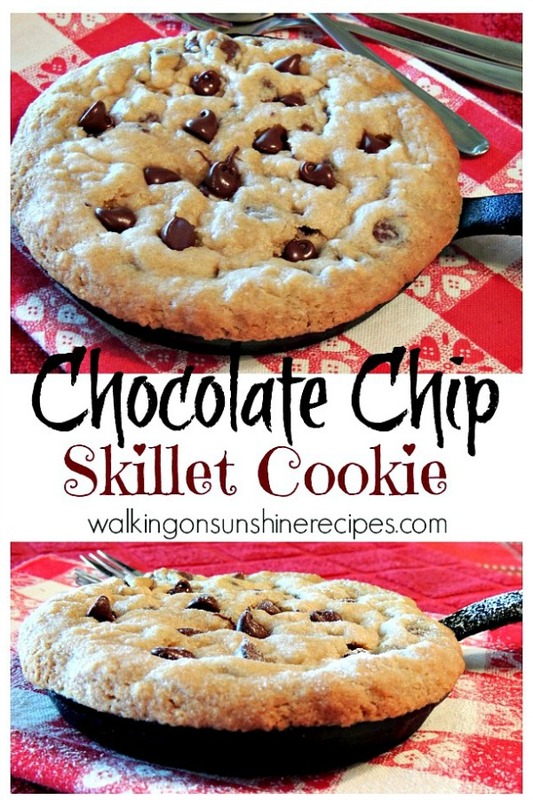 Oh well, guess I'll just make a full sized skillet cookie 😉 Thank you for sharing at Merry Monday! Hey! 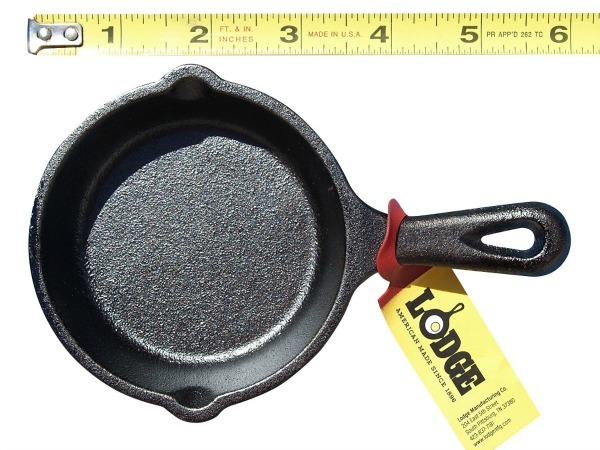 I got two little iron skillets at a garage sale – my hubby will love this! :D. Pinned & tweeted to pass the word – thanks for sharing with us at #TryabiteTuesday! 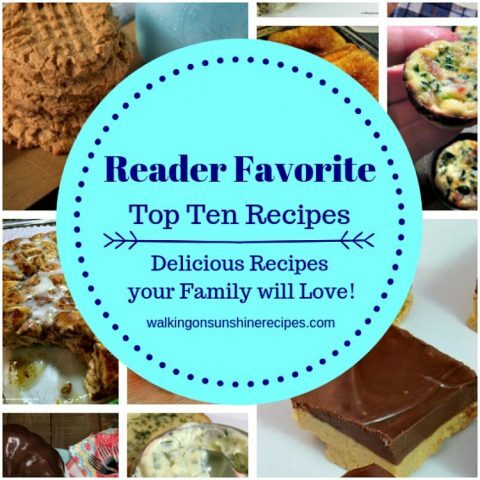 Link up a few more if you like we'll be open & sharing until after the New Year! What a fluffy cookie! Yum! I have a skillet and have not made anything in it yet! Cookies sound like a great ise. Thank you for sharing on Merry Monday! Hope to see ya next week! Thank you Kim! 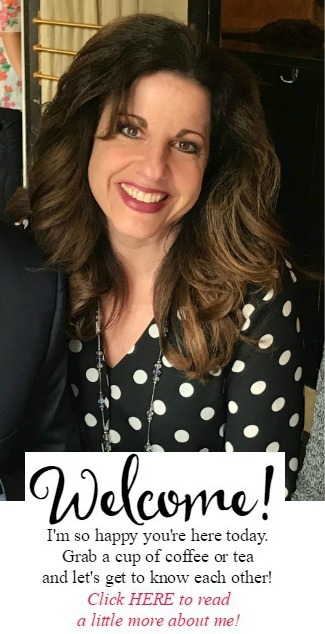 Your party is always a favorite! Ooo yum, this looks great. Pinning. 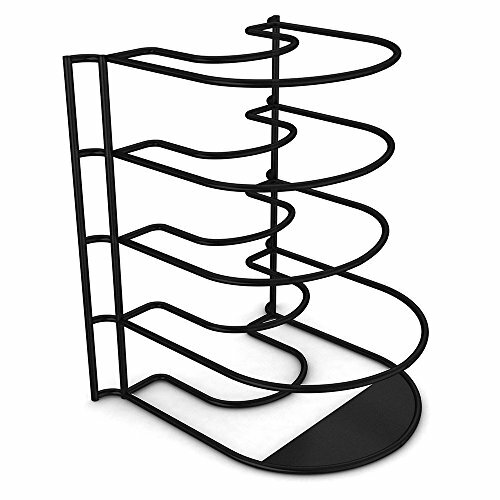 I imagine one of these would make a fun little gift for someone who has everything. You could give someone a skillet and add the dry ingredients for the cookies in a cute mason jar too! That’s a GREAT idea!!! Thanks for visiting Julie!